The photographer of this amazing photograph from Khao Lak, Thailand, survived the 2004 Boxing Day tsunami, but many others, including most of the people in the foreground, did not. □ Nothing is more frightening or fascinating than seeing a photographer’s final images in the face of certain death. Some victims were aware the end was near and perhaps wanted to leave a final memento before their lives were cut short. Others were unaware they were staring at death through their camera viewfinder. Genuine ‘last pictures’ are extremely rare, and many fakes circulate the internet. These three widely circulated “last photographs” are all fake. The image at left was taken well before the 9/11 attacks and later photoshopped to include the airplane. The image at center, which purports to show a massive tsunami, is in fact a dust storm in Australia. The picture at right was a submission to a photoshop contest. It recreates what may have been the last sight of nature photographer Michio Hoshino before his death at the snout of a brown bear. I double checked all my pictures for authenticity’s sake. So here they are, the five best “final pictures” that actually happened. Two of the last few images recovered on Robert Landsburg’s camera. Just after 8:30am, photographer Robert Landsburg and thousands of others in Washington state were jolted by a modest earthquake. Sightseers who had come to document the recent activity at Mount St. Helens immediately set their eyes on the smoldering volcano. The slopes of the mountain appeared to ripple as thousands of tiny rockslides cascaded down its slopes. 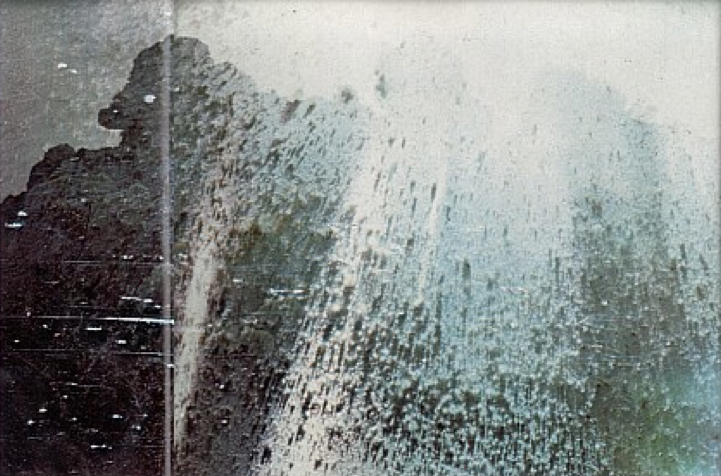 Then, moments after the shaking ceased, the entire north side of Mount St. Helens gave way. The largest landslide in recorded history plummeted downward in apparent slow-motion to the spectators standing miles away. The massive rockfall exposed compressed magma built up within the volcano, and seconds later a massive cloud of ash exploded northward at a pace approaching the speed of sound. A loud roar was heard hundreds of miles away, yet the explosion shot silently above people in the inundation zone. 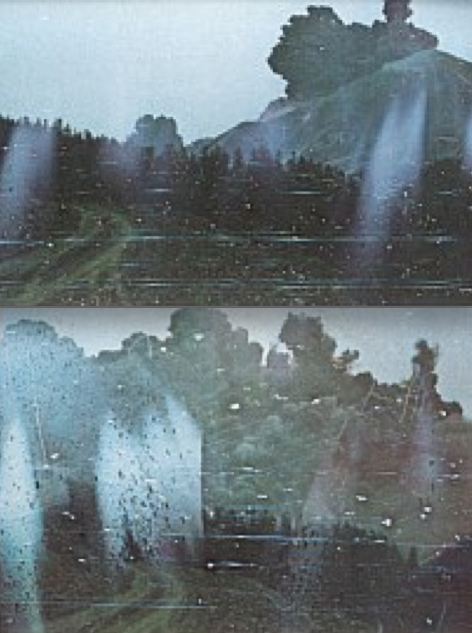 Landsburg, who was at his campsite seven miles west of the summit, photographed the pyroclastic cloud as it hugged the forest floor and thundered towards him. Aware of his fate, he placed his camera and wallet in a bag and lay atop it to protect its contents. Less than three minutes later, the wall of burning ash swept over him. Landsburg was killed, but his last efforts prevented his final pictures from being incinerated. The film roll was damaged, but nevertheless survived to tell the story of Landsburg’s last moments. The last surviving image from Landsburg’s camera. The remains of the Hunter home a week after the tornado. Eleven people were killed along the storm’s 49-mile path of destruction. On March 3rd, 2012, an outbreak of powerful early season tornadoes swept through Indiana and Kentucky. 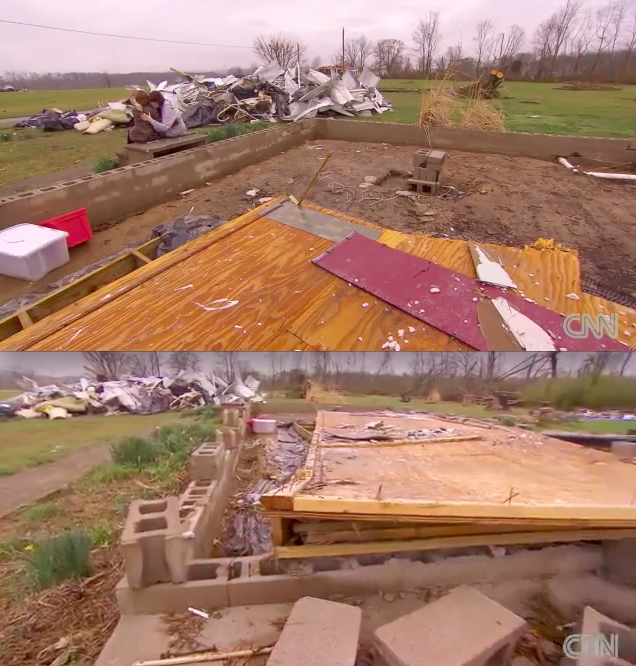 In the town of Henryville, Wayne Hunter and his wife took out their cameras and filmed the western sky as a violent tornado roared towards their home. The couple watched from their living room window as the tornado drew closer. 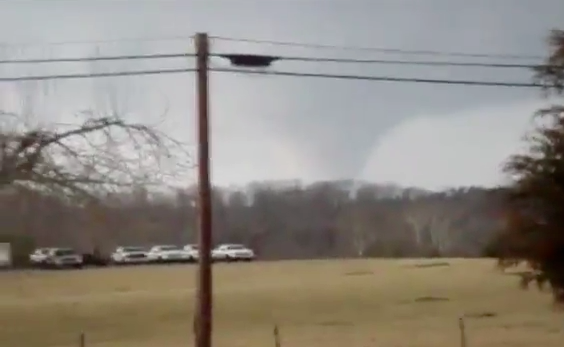 Moving up to 70mph, the tornado was exceptionally fast-moving and traversed the 13 miles between New Pekin and Henryville in just 12 minutes. When the tornado was only a few hundred yards away, the couple scrambled for shelter. Wayne covered his wife as they huddled in an interior bathroom. Mrs. Hunter later said that she heard a horrific roar and felt her ears pop, and then everything went black. She awoke thirty feet away from the empty block foundation that was once her home. Nearby lay the body of her husband, who had sacrificed his own life to protect hers. The last clear frame of video recorded by the Hunter couple. Wayne Hunter was killed two minutes later when the EF4 tornado obliterated his home. One of the last pictures found on the camera of John and Jackie Knill. The couple was unaware that the cresting wave on the horizon would soon cross the shore as a 35ft tsunami. 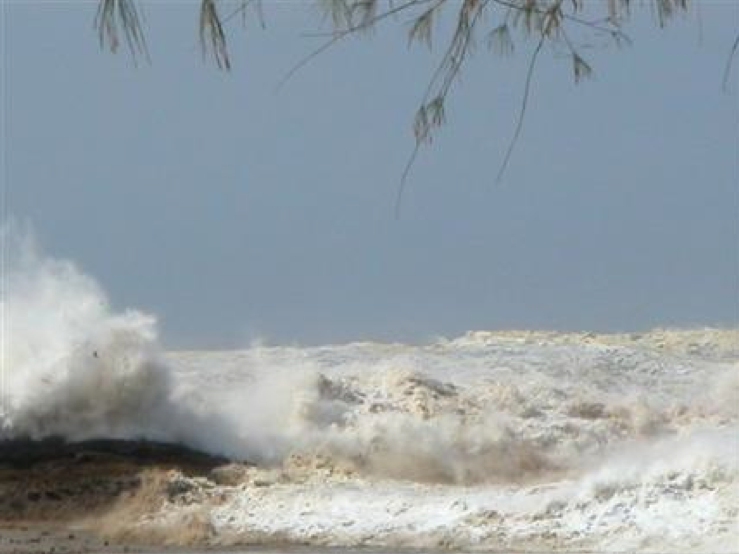 Unlike most areas affected by the tsunami, the first wave that struck Khao Lak was the largest. During the early morning hours of Boxing Day in 2004, a massive 9.3 earthquake ruptured the earth’s crust just west of Sumatra. Within minutes, a tsunami over 100ft in height crashed into the western shoreline of Aceh, Indonesia. The massive wave wrapped around the northern tip of Sumatra and surged through the city of Banda Aceh as a dark, muddy flood thick with debris. More than 150,000 people were killed in northern Sumatra, and the tsunami was just beginning its trek through the Indian Ocean. Two hours later, no one was aware anything had happened 300 miles to the east in the popular Thai resort town of Khao Lak. Canadian tourists John and Jackie Knill were enjoying the early morning sunshine at the Andaman Beach Resort beside thousands of others. Far away, beneath the perfect sky, a large wave appeared and broke into a thin white line that wrapped across the entire horizon. Unaware that underwater topography off the coast of Khao Lak was particularly well suited for the formation of large tsunami, the couple snapped pictures while snorkelers explored the unusually low tide. The true size of the wave was hard to ascertain from the beach as it rolled forward at 30mph. By the time the couple snapped their last picture, it was too late. Unlike normal waves, tsunami waves grow larger as they approach land and carry the entire ocean behind them at terrific speeds. The bodies of the husband and wife were identified among the thousands that lay floating in the ocean afterwards. Their camera was discovered by a Seattle man who later delivered the pictures to the deceased couple’s son. The final picture on the Knill’s camera. 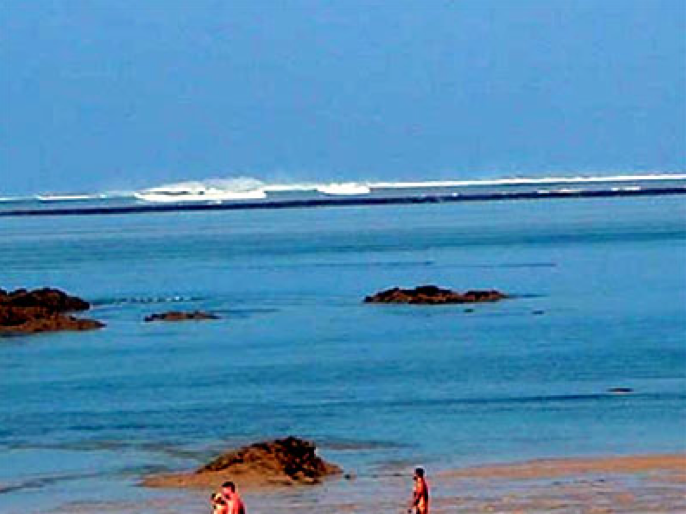 Khao Lak would experience the greatest run-up height of any location outside Sumatra. One of the most important tornadoes in recent history touched down in a sparsely populated area west of Oklahoma City on the afternoon of May 31, 2013. The large, nebulous cloud base was photographed by dozens of storm chasers as it swirled slowly to the southeast, ripping apart rural farmsteads near the town of El Reno. As the tornado roared farther from the I-40, news vehicles and photographers pulled off the freeway and travelled down the perfect grid of county roads near the El Reno Regional Airport. Amateur storm chaser Richard Henderson, a truck driver and father of two, snapped a photograph of the multi-vortex storm with his cellphone and sent the image to a friend at 6:05pm. As the tornado approached Highway 81 it entered a period of rapid intensification. The storm’s snake-like tendrils suddenly merged into one massive funnel that quickly expanded to two miles in width. Richard Henderson was near the intersection of Choctaw Avenue and SW 15th Street when the tornado engulfed him. Debris loudly impacted the sides of his vehicle as the thunderous storm passed over. Still on the phone with a friend, Richard exclaimed – “that’s the sound of debris hitting my pickup.” Seconds later, the line went dead. Richard was found dead that evening in his destroyed vehicle. A local resident driving away from the storm was also killed at the same intersection. In total, the El Reno tornado caused eight fatalities, all of them in vehicles. Half of the dead were storm chasers, including long-time professional Tim Samaras. The tornado was a grim reminder of the powerful and oftentimes unpredictable nature of violent tornadoes. 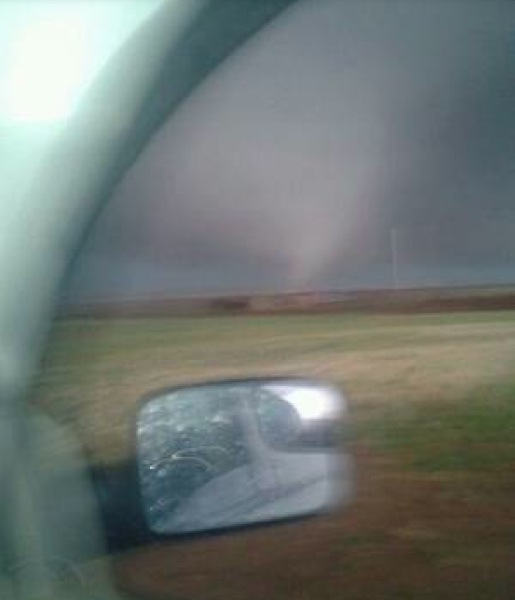 Richard Henderson sent this final photograph to a friend a few minutes before the storm took his life. 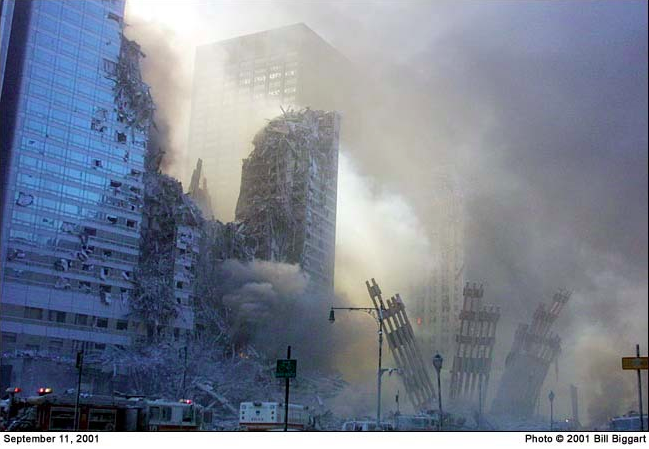 Bill Biggart photographs the collapse of the South Tower 30 minutes before his death. The death of Bill Biggart was not the result of a natural disaster, but the surreal scenes he captured in his final roll of film were equally as frightening and all encompassing. A passionate photographer, Biggart rushed to ground zero minutes after the first plane impacted the North Tower on September 11th. His early pictures show gray waterfalls of smoke pouring from the World Trade Center towers as dazed pedestrians crowd police barricades. 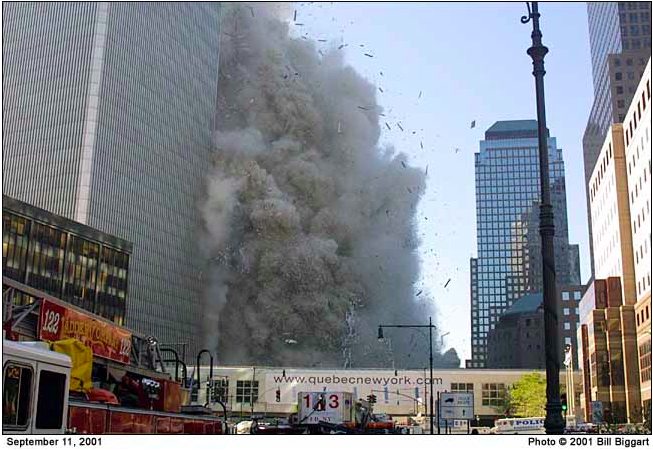 Biggart photographed the grey storm cloud of debris that engulfed the city streets as the South Tower collapsed. Seemingly unaware the North Tower would soon suffer the same fate, the fearless photographer took his last picture of the devastated Marriot Hotel on West Street. Seconds later, the North Tower gave way in a mushroom cloud of dust above him. Of all the images taken on September 11th, Biggart’s have become some of the most well-known due to his frightening proximity to the destruction. The last image on Bill Biggart’s camera. The North Tower, barely visible in the upper left corner, came down moments later. I’ve searched for the Lansberg pictures before, but never could find them. If you have more interest in Mt. St. Helens 1980 eruption and stories about the people who died, check out the book “Echoes of Fury” by Parchman. Great read and will probably use as my guide when I visit the area in the future. Landsburg’s photos are now easily available on the internet. There does seem to be confusion over the spelling of his name, however, which may complicate the search. I’ve seen official articles that spell it “Landsberg” and “Landsburg”, and am still unsure which is correct. I remember seeing on either discovery or the history channel a video taken on I believe 8mm film shortly after the eruption of MT.St.Helen’s he was within the blast area and all that could be seen was basically total darkness. Could anyone point me in the way of finding this footage? Mike, I would check out the “Seconds from Disaster” TV series, which has an episode on Mt. St. Helen’s. Google “seconds from disaster” and “mt st helens” and you can likely find the episode online. Would Pit Dernitz’s (the man who was eaten by a pride of lions) film constitute as a last picture? It shows one of the closest images of a wild lion. I’m pretty certain the footage you are referring to was staged for a grindhouse film several decades ago. Also, my “last pictures” are more about disasters as opposed to animal attacks or attacks from other humans (of the latter there are plenty of last pictures). About that tsunami picture at the top I’m curious who took it? Anyone know? I did a search for the picture online and the only thing that comes up is the caught on camera documentary. Chris – it was photographed by a German tourist just south of the Khao Lak Bayfront Resort, but that’s all I know. I see. How did you find out he survived? I guess I don’t know for a fact he survived, but it would be an odd fact to leave out (I originally found this image on a tsunami website back in 2006 and it came with a caption). The photograph was taken in an area where higher ground was only 150m or so away, unlike most of coastal Khao Lak.